To understand where the U.S. democracy is at, ACLU boss Anthony Romero says all we have to do is look at a 14th century painting: Ambrogio Lorenzetti's The Allegory of Good and Bad Government. 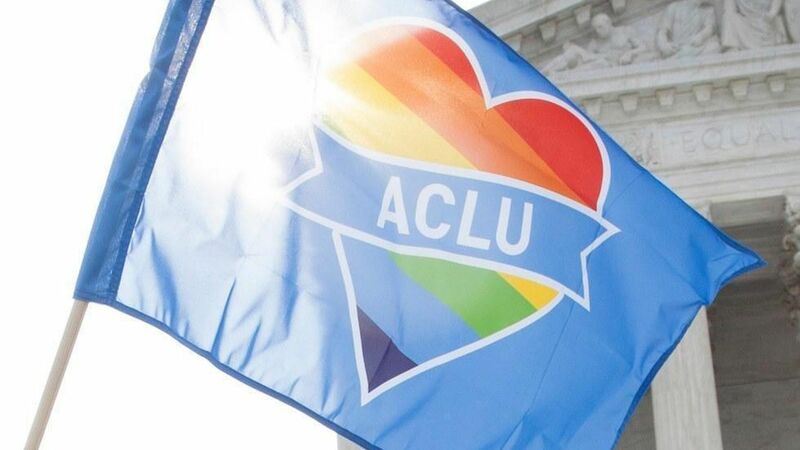 Free speech for all: Romero notes that the ACLU isn't just arguing for free speech for those on the left, citing recent actions in support for conservative voices like Ann Coulter and Milo Yiannopoulos. On one side, Lorenzetti shows a good government where freedom and justice rule, crops flourish, and dancers and tradesman can practice their craft. On the other, a tyrant rules, justice is chained and her scales shattered and fear rules. He drove the point home by interspersing images of Donald Trump and policies like the border wall and travel ban with scenes from the painting. "We have to disrupt our lives so we can disrupt the amoral accretion of power by those who would betray our values," Romero said, speaking at the TED conference in Vancouver on Tuesday. "We have a choice. We can either paint ourselves into the worst nightmare of Lorenzetti's bad government or we can stay in the streets."